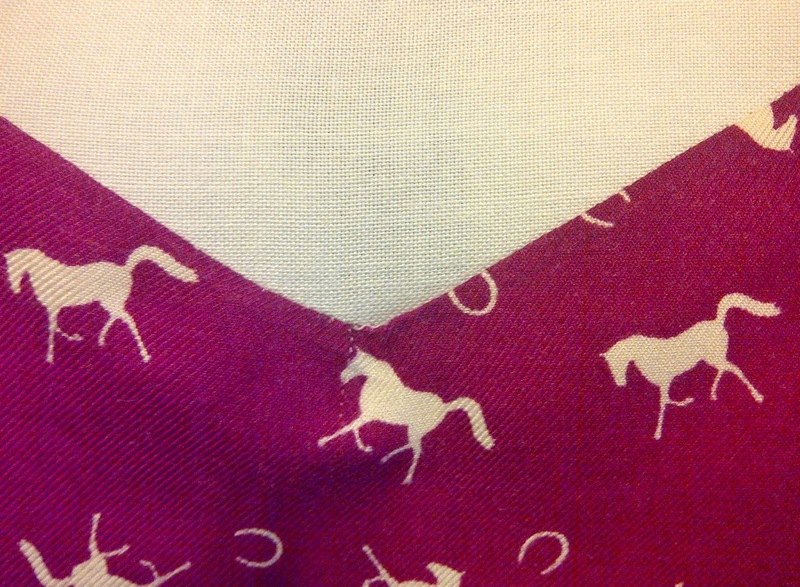 Here is a sneak peek at my latest sewing project. It's actually finished, but I haven't worn it yet so I thought I would do a sort of "before" post since I haven't done that in a while. New Look 6148, I made shirt E.
I had been eyeing the fabric forever at work and waited and waited until it went on mega sale to purchase it ($5/m and I only needed 0.8 for the whole shirt!). I love how the point at the front turned out. Unfortunately the fabric pulled fairly easily so there are a few tiny snags, which makes me sad, but it is probably one of those things that only I will notice. 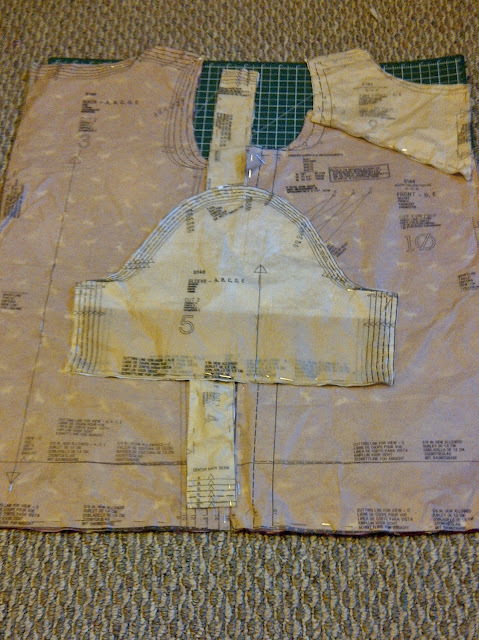 I am excited to wear it and show you the finished product. 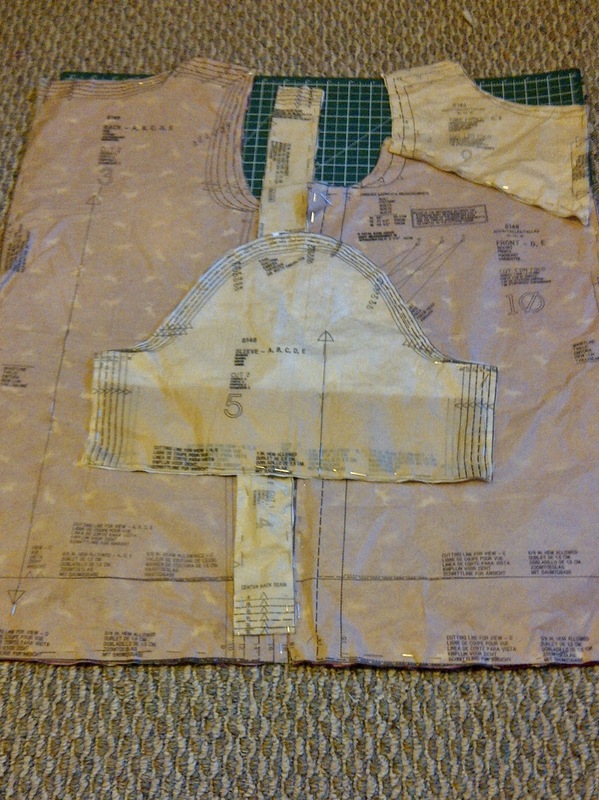 It is nice to be able to sew again. Things have been so hectic the last little while this is the first thing I have made in over a month! I haven't really been able to take advantage of having a whole sewing room to myself, cry cry. With another move coming up again and working two jobs I am not sure how much I will be able to do in the future, so I want to get as much done as possible in the time I have now. I have already started on a smaller project which I will share once it has been completed. Hi! My name's Hope and welcome to my blog. This is my space to share my personal style and anything else I am interested in. Why don't you stick around for a while? All images, writing, and other material posted on this blog are the property of Hope unless otherwise stated. Please credit me if you use this material elsewhere, than you! Travel theme. Theme images by Ollustrator. Powered by Blogger.